Under the auspices of CECAM (Centre Européen de Calcul Atomique et Moléculaire), a five-week workshop took place in Orsay to develop software for phasing using non-crystallographic symmetry. This followed the recent development by Gerard Bricogne of such phasing methods, and their successful application to the structure of the tobacco mosaic virus. 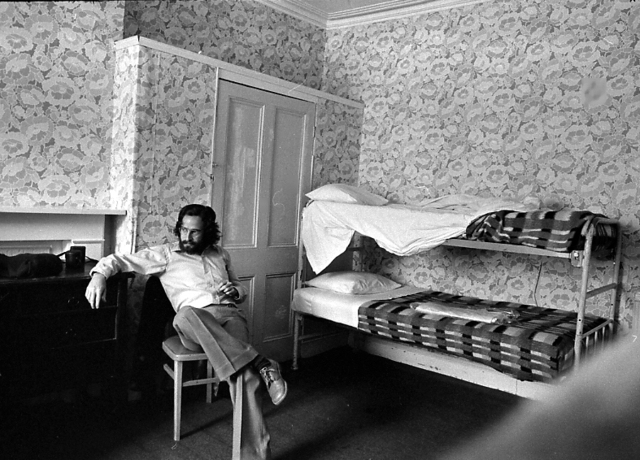 Art Olson at Trinity College, Cambridge. 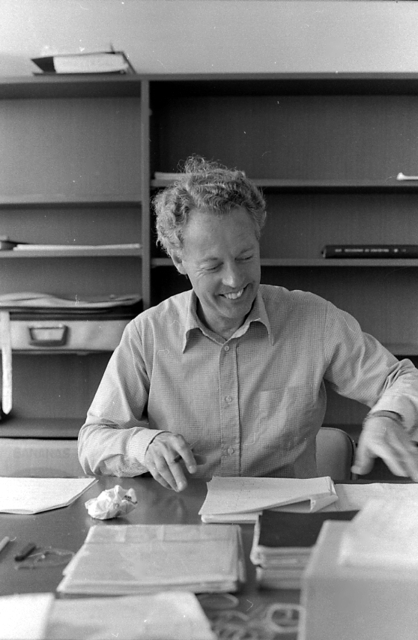 Bror Strandberg at his desk. 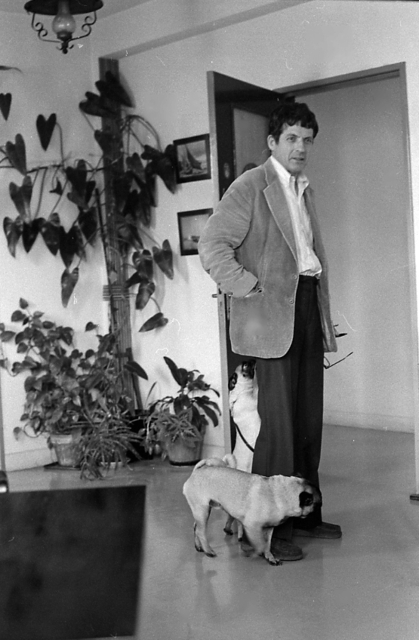 Carl Moser (founder of CECAM) and pugs. Fritz Winkler at key punch. Fritz Winkler: first look at the electron density map of tobacco bushy stunt virus (TBSV). 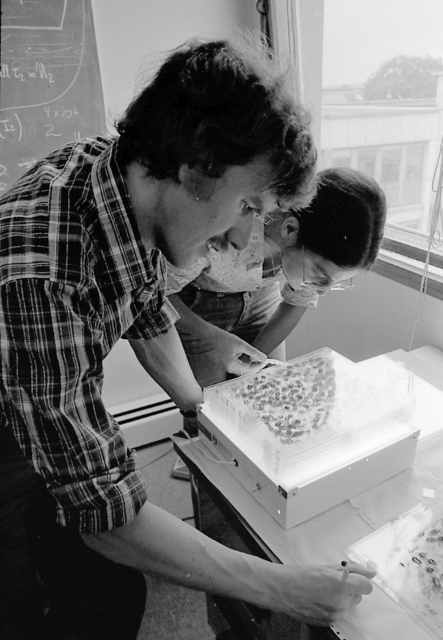 Fritz Winkler and Shoshana Wodak working on a TBSV density map. 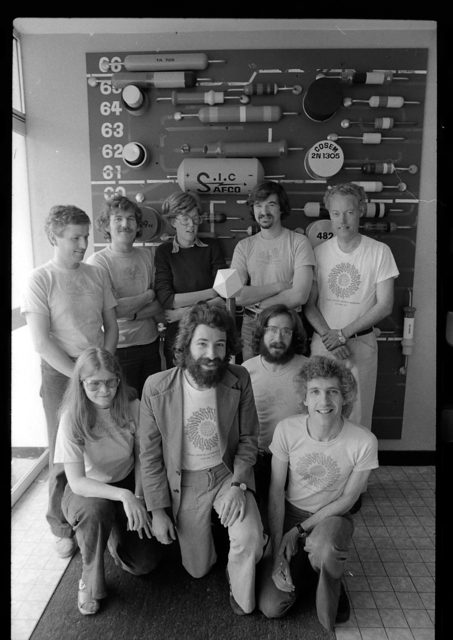 Group photograph in front of an oversize circuit board. Front row (kneeling): ? (student of Bror Strandberg), Gerard Bricogne, Art Olson, Steve Harrison. Back row: ? (student of Bror Strandberg), Fritz Winkler, Lies ? 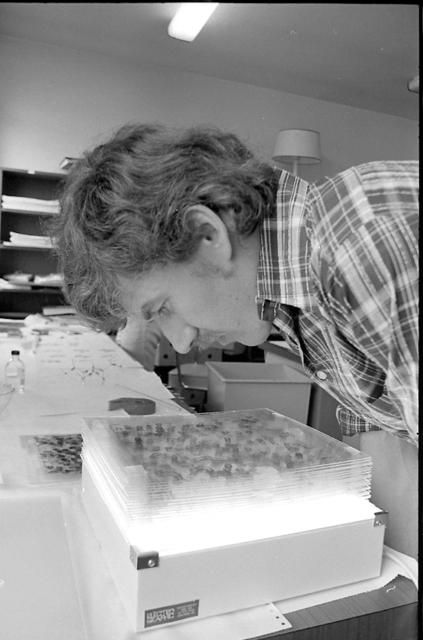 (worked on hemocyanin at Groningen), Roger Burnett, Bror Strandberg. 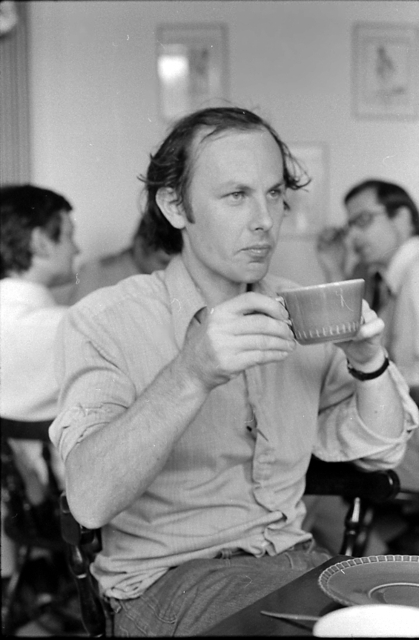 Joel Janin enjoying a coffee. 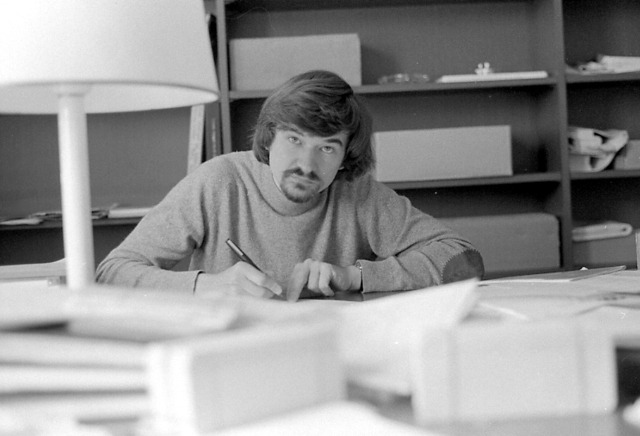 Roger Burnett at his desk. Roger Burnett, Fritz Winkler. 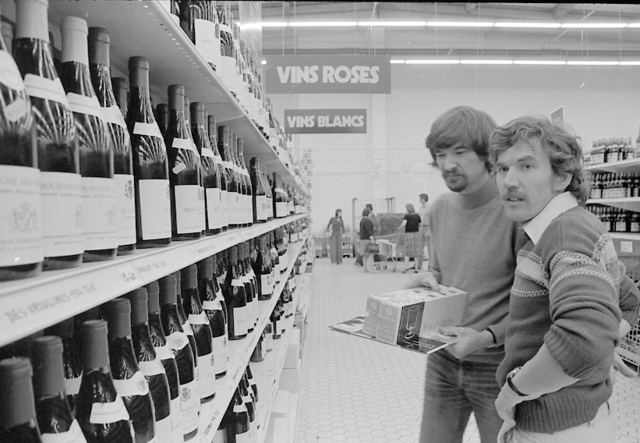 Shopping for wine in Paris. Steve Harrison, Fritz Winkler, Roger Burnett, Art Olson. 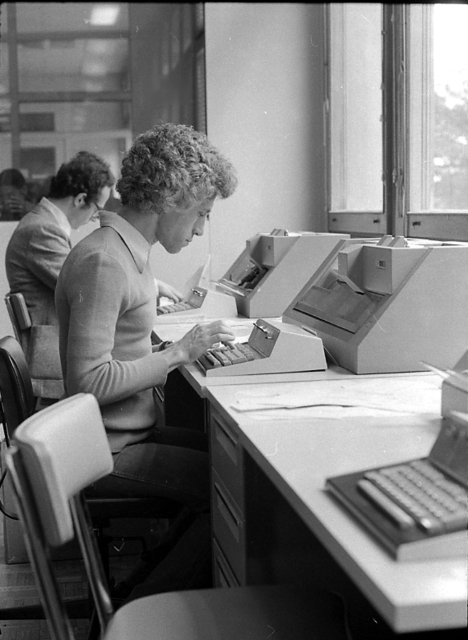 Behind an IBM 370 console. 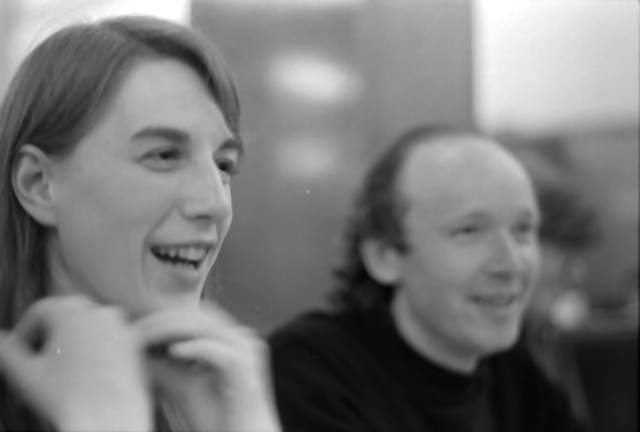 Steve Harrison, Gerard Bricogne. Steve, Gerard and Art Olson travelled to Paris for the CECAM workshop from Cambridge England. 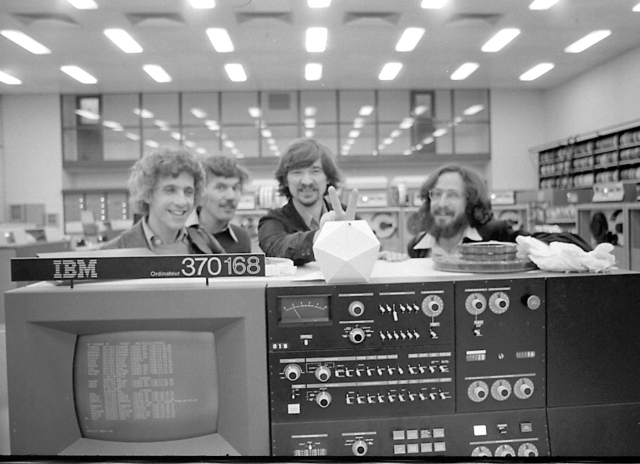 The group in Cambridge had prepared some of the input for the phasing computations to be done on the IBM 370 at CIRCE at the CECAM workshop. 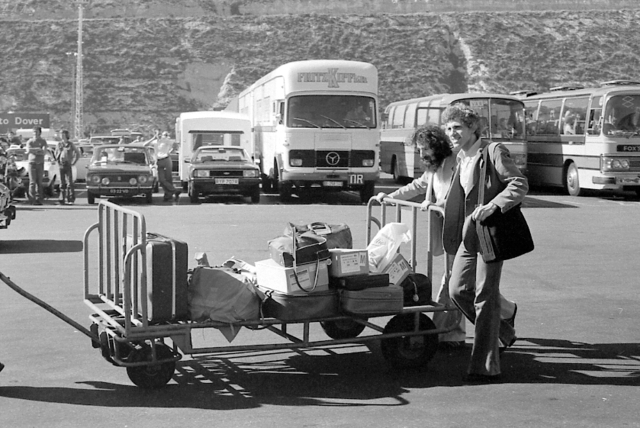 This photo shows Steve and Gerard after disembarking from the ferry at Calais, to catch the bus to Paris. 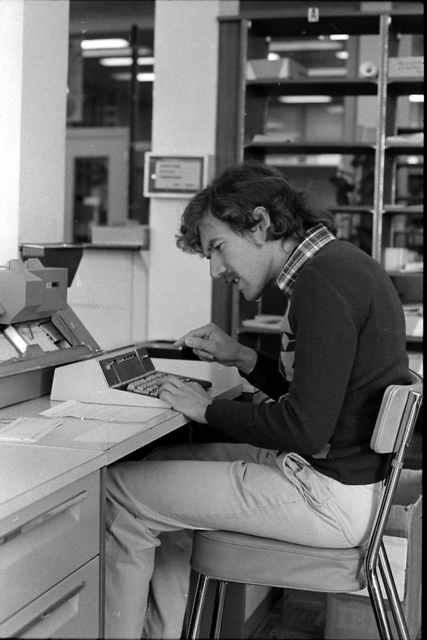 The cart was mostly filled with boxes of punch cards for the computations. Steve Harrison at a key punch. 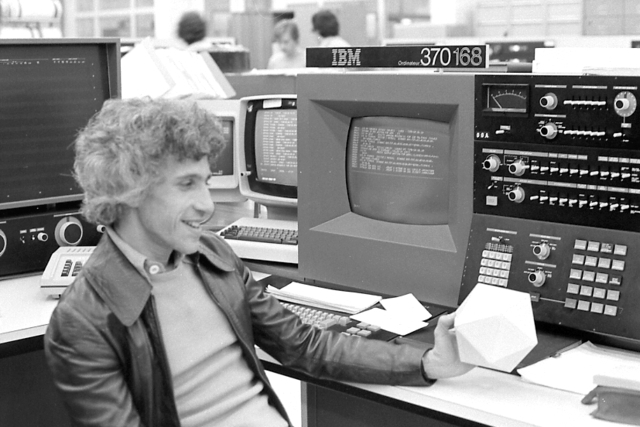 Steve Harrison holding a model of an icosahedron in front of an IBM 370 console. 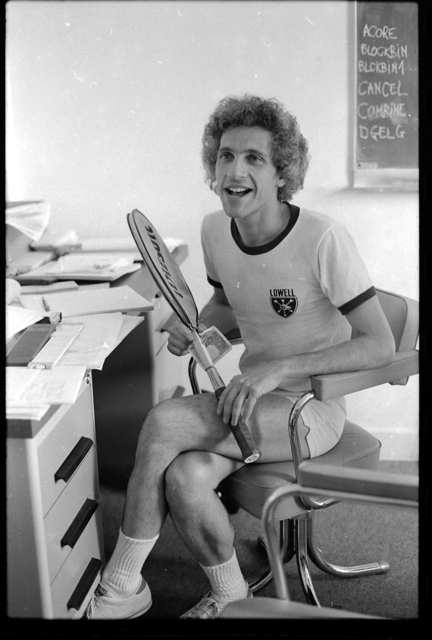 Steve Harrison: ready for tennis.